If you have found a better location to establish new office and planning to move there, you must hire office movers. Relocating the office will be a stressful task and you will find it daunting to manage along with other vital procedures. 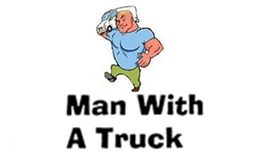 Hire Man with a Truck for making it an enjoyable process.We at Man with a Truck specialize in commercial movers solutions. Our expertise in moving businesses across Melbourne has made it possible for us to gain many happy clients. Our existing clients always suggest our support whenever people ask for the best office movers in this part of the world. Although moving can be a daunting process, packaging all the IT equipment, furniture, files, documents and other vital stuff can be very stressful. We provide cheap office movers solutions but we never compromise with the safety of your belongings. We always ensure that all your stuff will be shifted safely. We have a team of highly knowledgeable professionals who specialize in packaging. They know how to pack different kinds of stuff in order to keep these things secure while moving. We have never damaged clients’ luggage till the date and that’s what makes our services more reliable for your business. Being the leading office Movers Melbourne, we have a fleet of well maintained vehicles which we use for moving. All the vehicles are maintained in a way that we can provide a quick moving support whenever hired. You will get all your stuff shipped to the new location on time and thus you can quickly set up a new office. We always have a plan that aids us in finishing the assigned work on time. We know how important it is for a business to relocate on time so that it can get its core procedures in function quickly. Therefore, it we never delay and provide a prompt support whenever you hire us. Man with a truck Melbourne is not one of those moving companies that hide charges and charge extra for their support. We love to have a discussion with our clients before they hire us. You will know everything about our insurance, charges, license and any other thing you want to know. 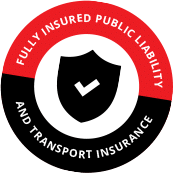 We operate legally and we work for you. Our team is the best in this field and therefore we have been able to provide client-oriented moving solutions. So, contact us now if you want to hire the best office movers in Melbourne.